Many of the patients in the squadron weren't actually hurt in battle but rather battling cancer. 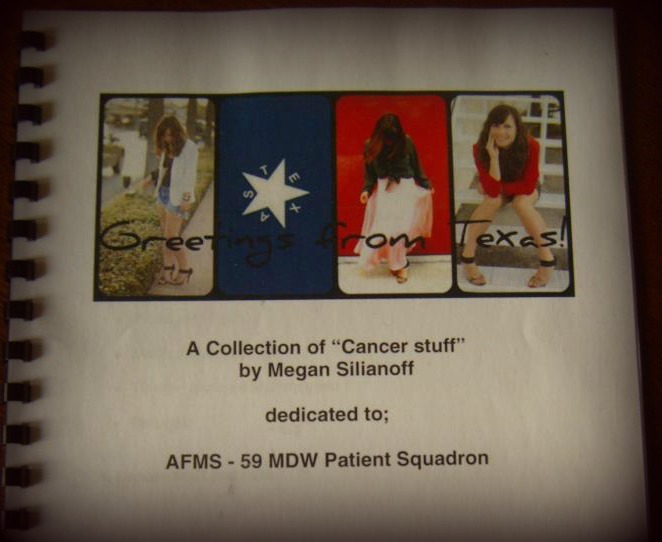 Technical Sergeant Salls, who runs the squadron, wanted me to talk to her patients about my own experience with cancer and anything else on the subject that I found pertinent. 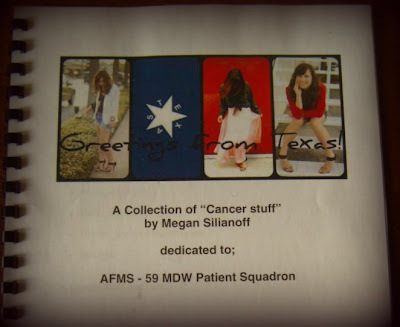 Navigating cancer, for me, has always about perspective, a concept these patients were no stranger to, as illustrated by their moving stories that I felt honored to hear. And though I think overall the day was a success, Exon, an adorable German Shephard guide dog belonging to SrA Michael Malarsie, would tell you differently. Right at the climax of my speech, at what I thought was a particularly poignant moment, Exon let out the loudest, deepest YAWN I've ever heard........Tough crowd. 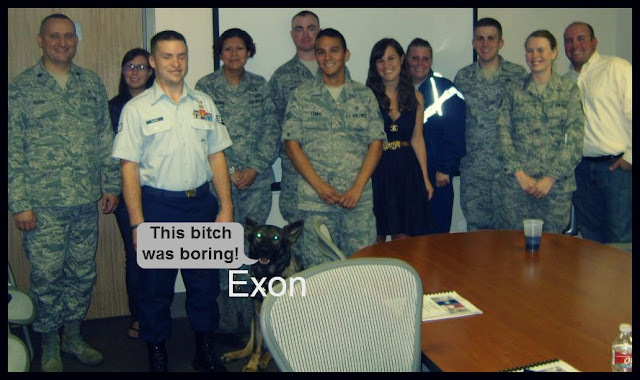 Exon and some of the others from the AFMS - 59 MDW Patient Squadron. 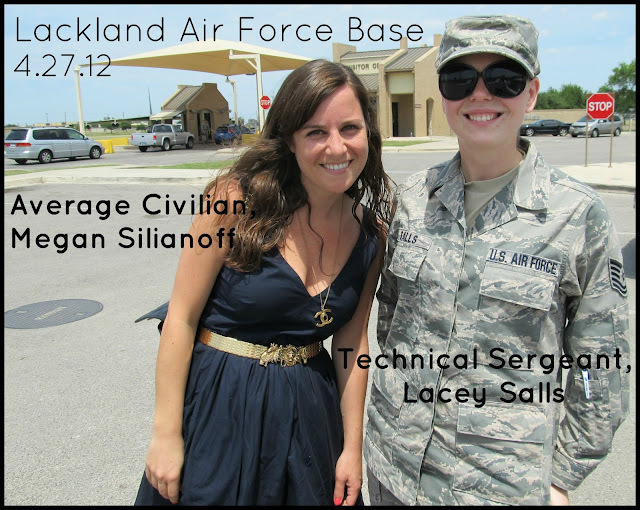 A huge thank you to TSgt Salls, Exon, and the rest of the patient squadron for having me. I was honored and you guys are awesome. P.S. Last week I was featured on Francesca Collection's blog talking about some of this same type of stuff. Check it out here!